Patricia is the Rebold Country Manager of the Analytics Business unit in Spain. She is responsible for the development and implemenation of products and services for the Analytics Business Units. 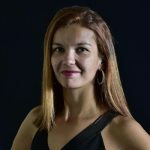 She leads development projects working with the Analysis, Operations and Technology teams in Spain, LATAM and US. Patricia comes from Havas Media Group where she has previously led the Data & Analytics area. Before that she was General Manager of Archibald Ingall Stretton, an interactive marketing agency of Havas Digital in Spain. She began her career as a consultant at A.L.G. company of the Europraxis group. 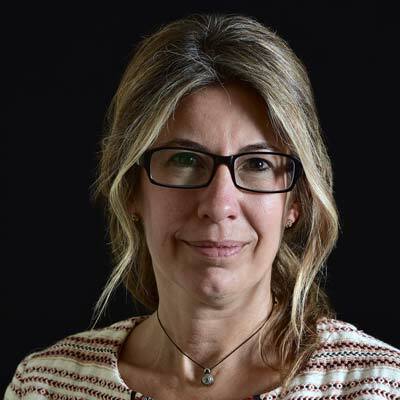 Throughout her career she has developed marketing, communication strategy, implementation and measurement projects for clients such as DKVSeguros, Iberdrola, Vueling, El Corte Inglés, Solvia, Gas Natural, Nivea, Puig, Nutrexpa, Danone, GNF, Jazztel or Aena among others. In parallel, she has been a shareholder and collaborated with e-commerce sites such as www.lacestafresca.com and www.rituals.com. Being passionate about the measurement, analysis and marketing strategies, she lead the companies where she worked to won several awards. Under her supervision at Havas Media Group she got the Silver EFI award in the ‘better integrated campaign’ category for Danone. Later on, working for Acceso she led her team to won the AMEC Awards for Innovation in new measurement methodologies, with the project “Election Talks Tracking Project”, offering the forecast of the vote of the Spanish elections based on listening Offline, Online and social networks channels. Patricia holds a degree in Telecommunications Engineering by Universitat Politècnica de Catalunya & École Supérieure d’Électricité Suplétec, as well as an MBA by IESE Business School with an International Exchange Program at Duke University, FUQUA School of Business.